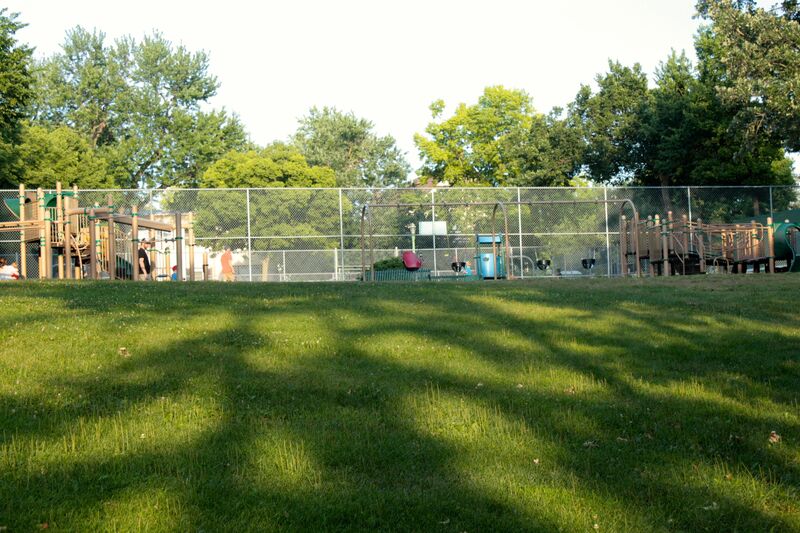 An evening ride to St. Anthony Park, the northwest corner of the City. 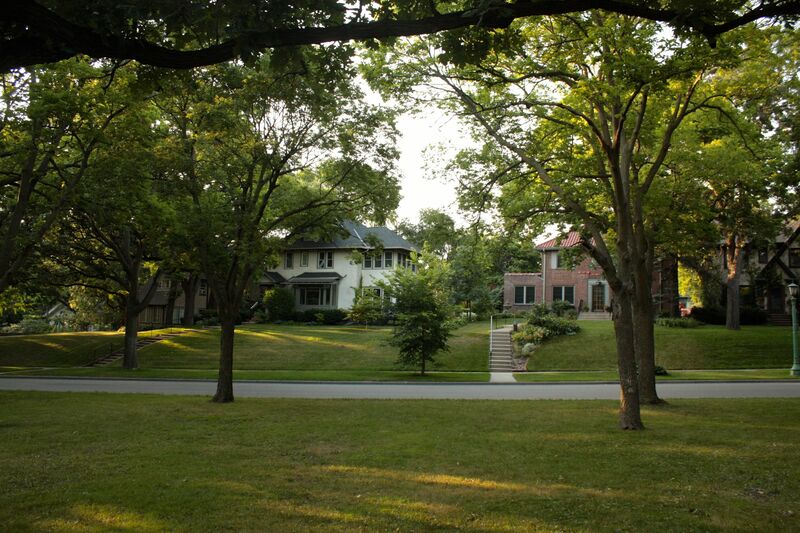 Like scores of Saint Paul neighborhoods, the residential streets in St. Anthony Park are edged with towering oak, maple, elm and pine trees. It is on these thoroughfares that I did most of my biking, but first I had to get past the busy intersection of Raymond Avenue and Energy Park Drive. Usually I blow past this area as quickly (legally of course) as I can for reasons of self-preservation. 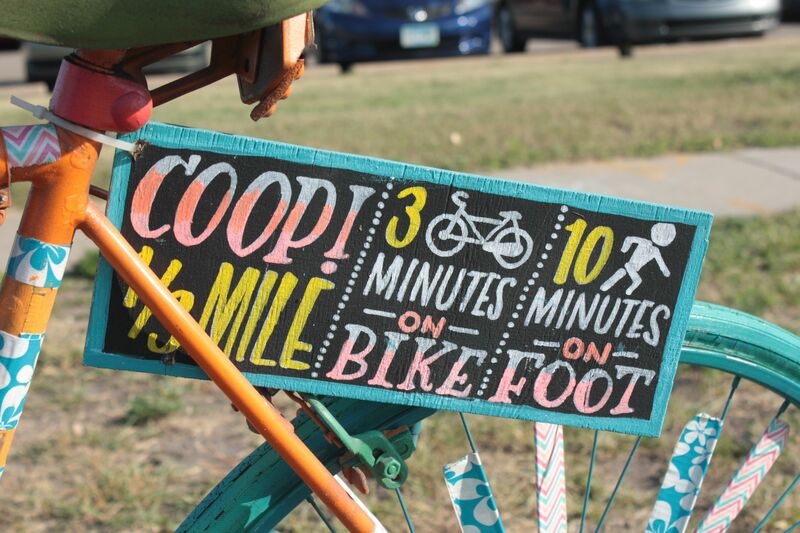 Tonight, however, I paused for a vibrant bike billboard on the boulevard. It is impossible to miss this bike. 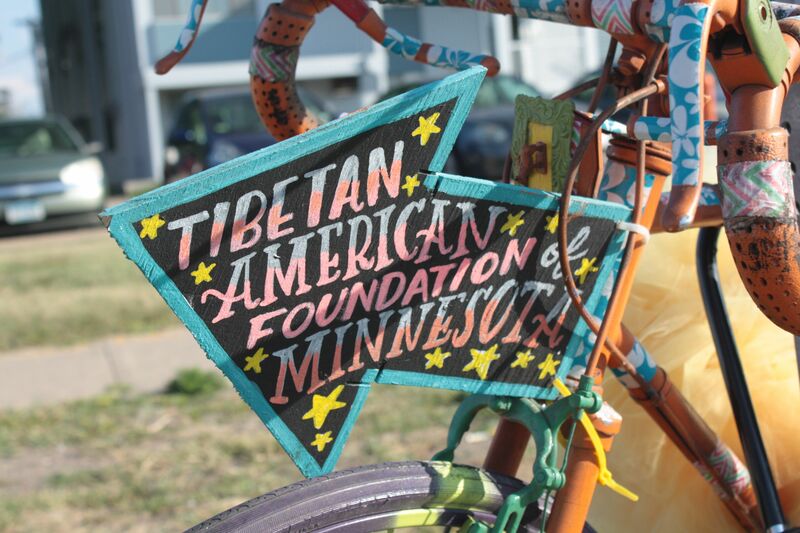 I didn’t know it at the time, but the Tibetan American Foundation of Minnesota is just across Energy Park Drive from this spot. 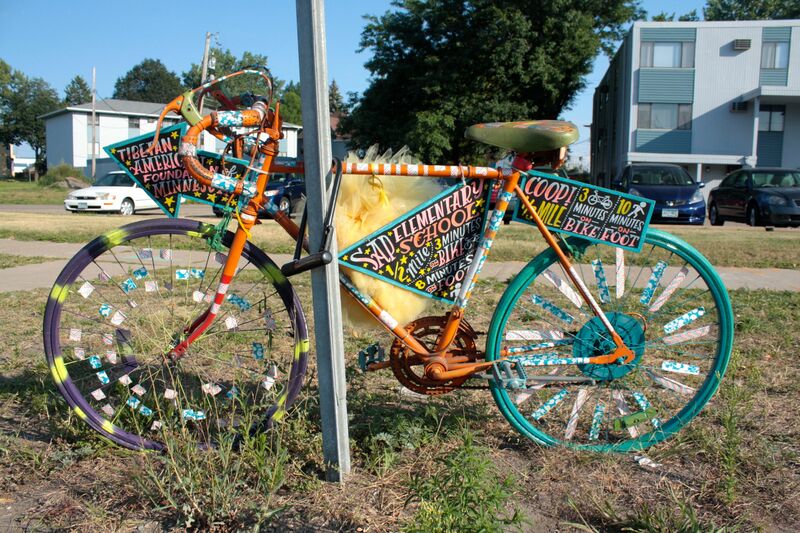 The Hampden Park Coop is just south of this ‘bike-vertisement’ on Raymond. 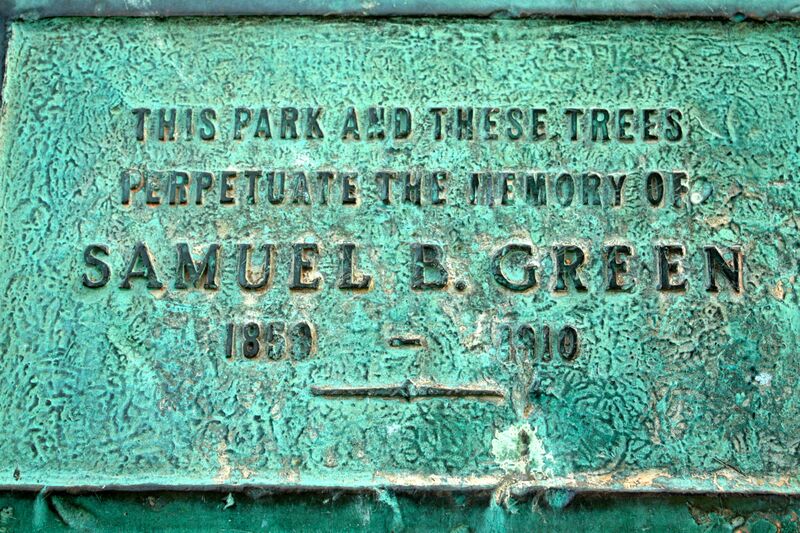 “SAP” is commonly known as St. Anthony Park. 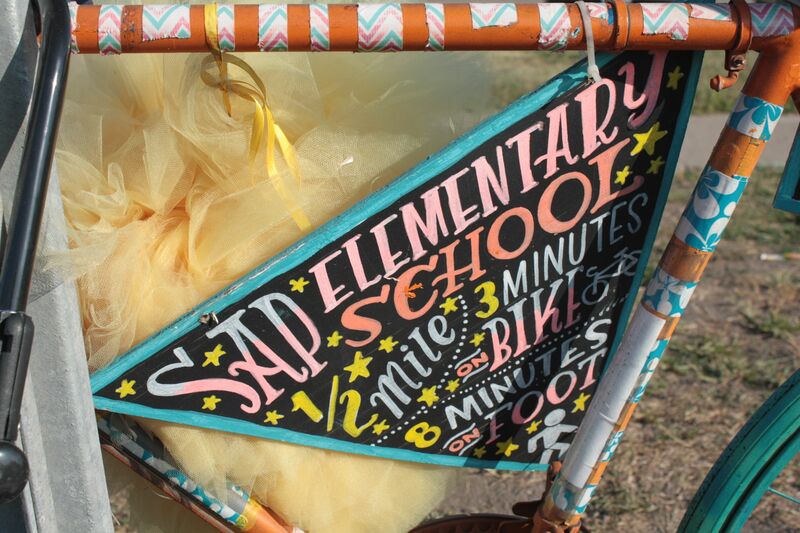 SAP Elementary is north and slightly west on Como Avenue. 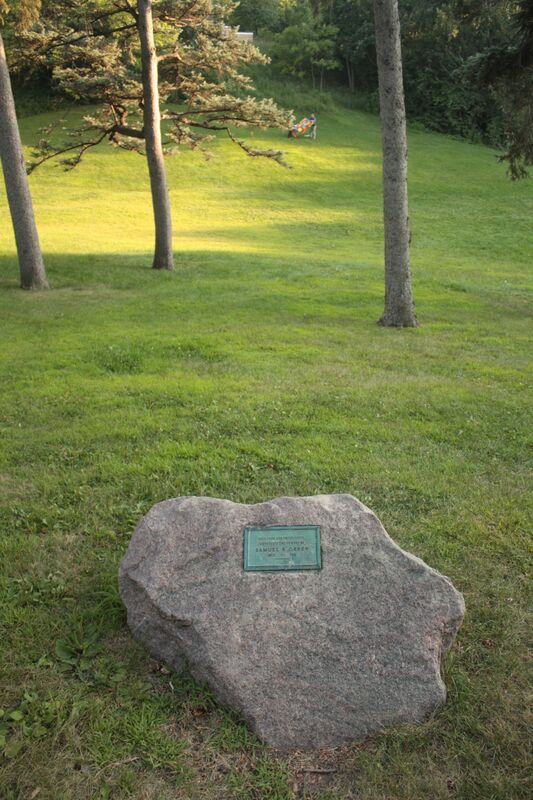 In St. Anthony Park, Hoyt Avenue is the border of Saint Paul and its northern neighbor of Falcon Heights. Border roads like Hoyt apparently require street signs from both cities. The sign on the Saint Paul side of Hoyt is front and center. In the background you can see the Falcon Heights version of the sign. Three seminaries merged in 1917 to create Luther Seminary. 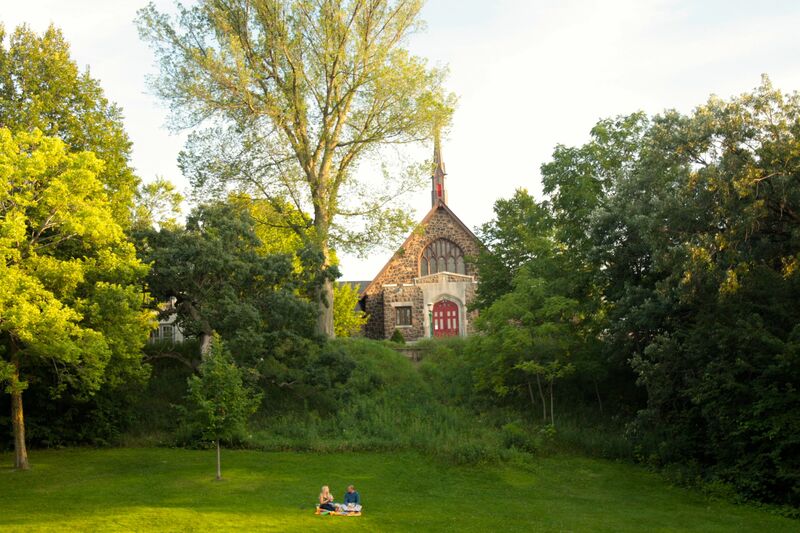 The Norwegian Synod operated the original Luther Seminary elsewhere in Saint Paul; the Hauge Synod operated Red Wing Seminary in Red Wing; and the United Norwegian Lutheran Church operated the United Church Seminary on a portion of the present site of Luther Seminary. (3) Luther occupies roughly a diamond-shaped parcel bounded by Como Avenue, Fulham Street, Hendon Avenue, Branston Street and Luther Place in the north central part of St. Anthony. 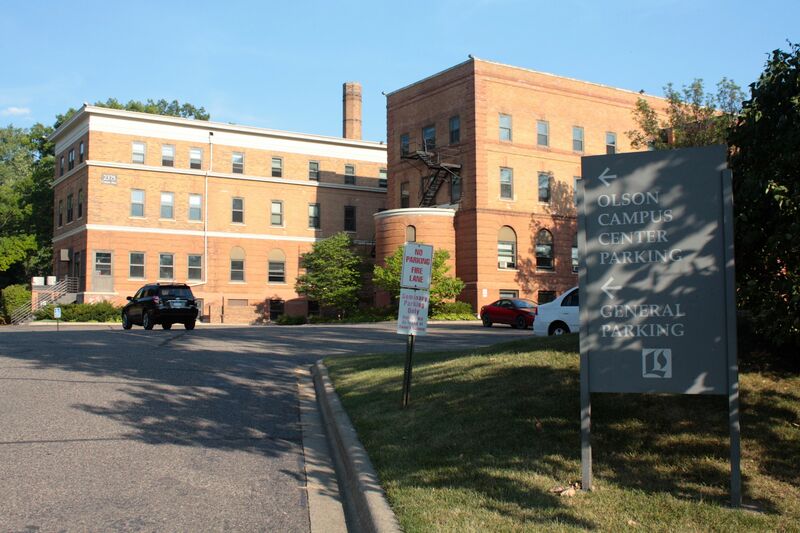 The sign says Olson Campus Center parking but the building is the back of Brockman Hall on Como Avenue. Brockman has a collection of uses, including faculty and staff offices, classrooms and dorm rooms. 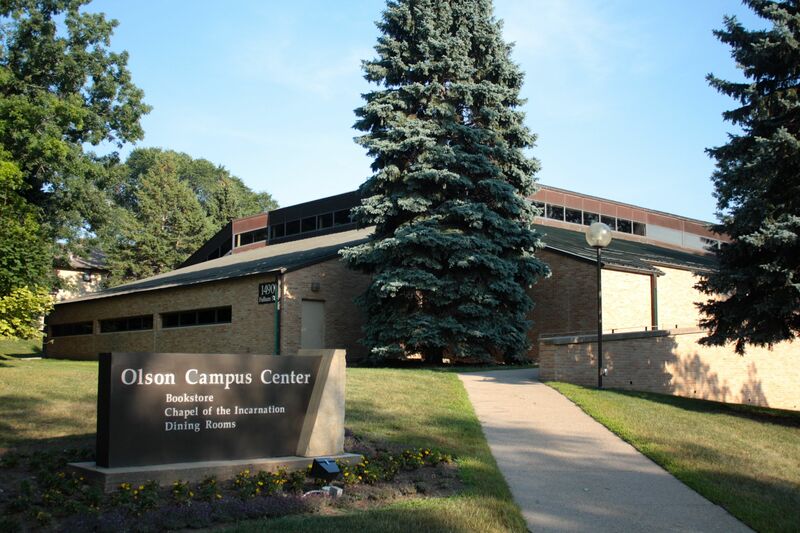 Olson Center at 1490 Fulham Street is the heart of the Luther Campus. 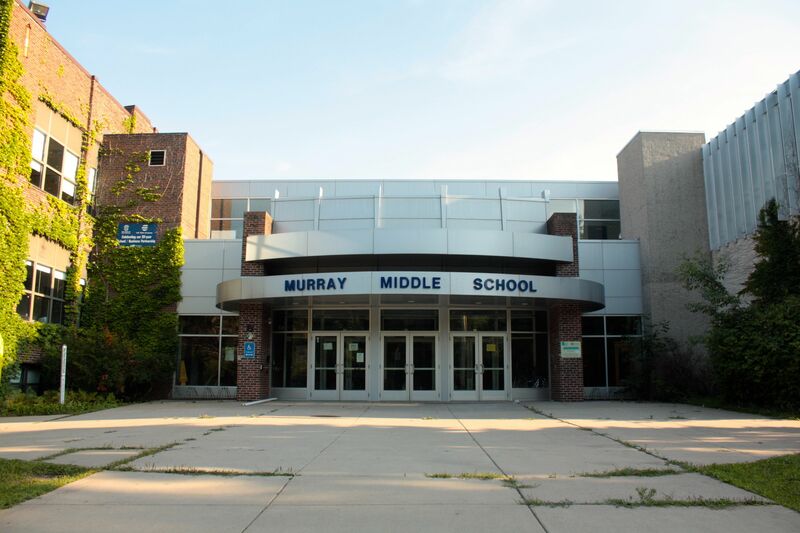 The main entrance of Murray Middle School was added in 1999. 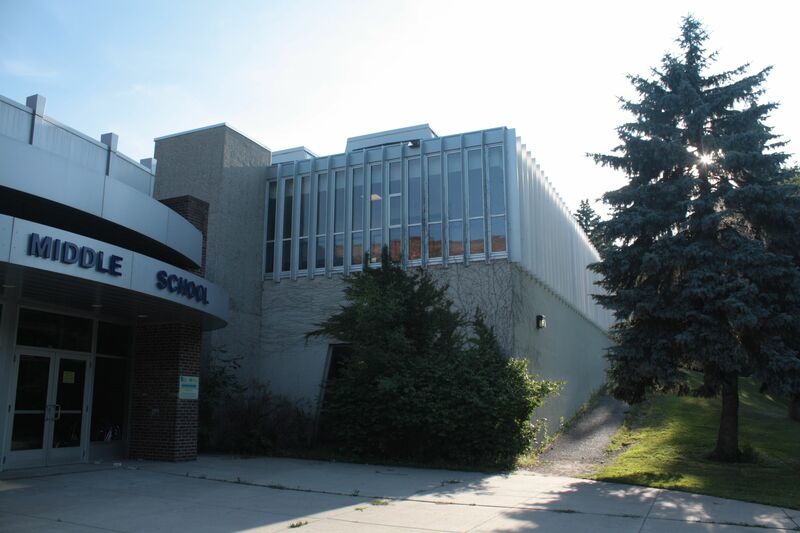 The original portion of the building is to the left and a later addition includes the section to the right of the entrance. Murray’s westernmost addition, built in ’99 I believe, shot from Buford Avenue. So, here I was, looking at the west wing of Murray, when I heard an unusual bird call that sounded like a turkey. 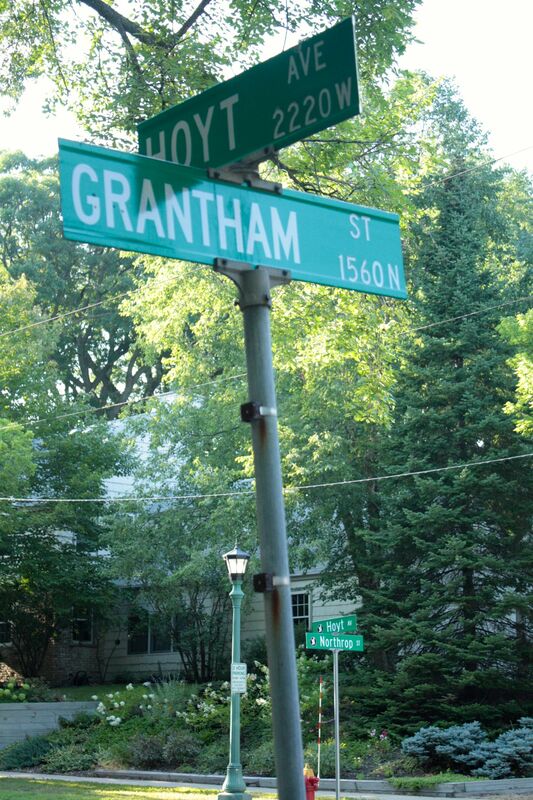 I hurriedly got on my bike and rode west on Buford to Grantham Avenue, where I saw I was wrong. 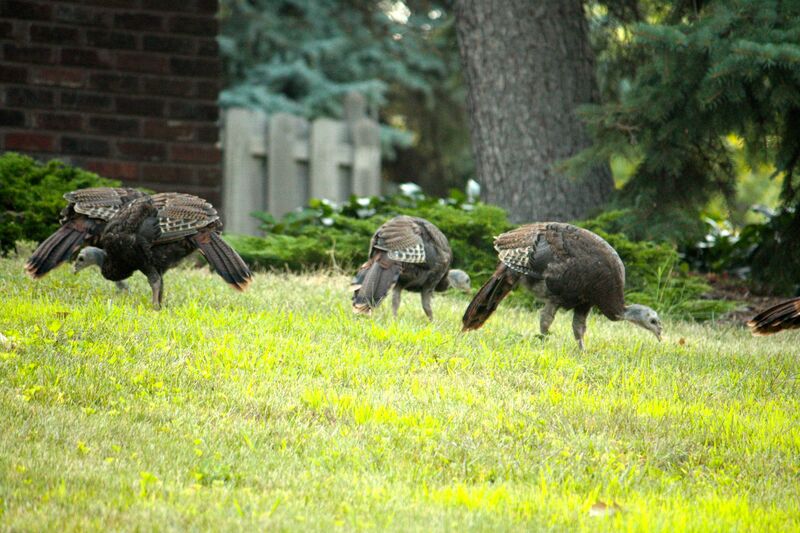 Strutting across some front lawns along Grantham Avenue was not one but a rafter of turkeys-a large tom and five hens following. 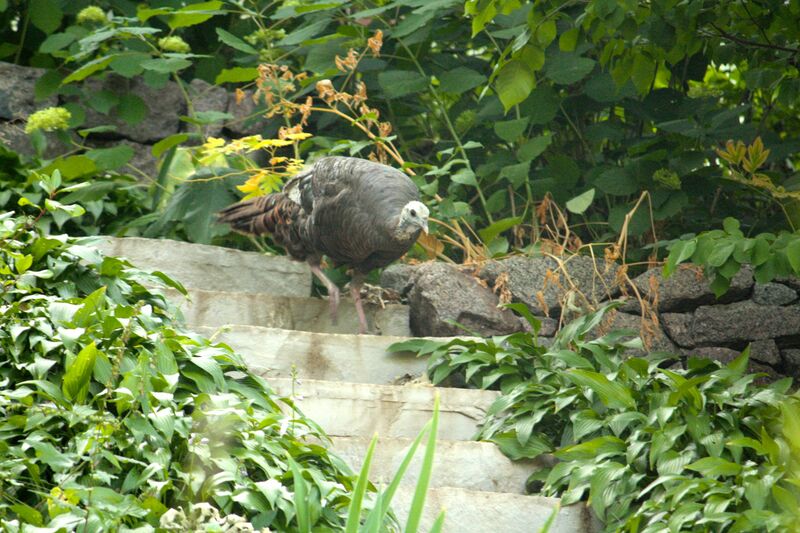 The tom turkey swaggered across lawns, through bushes and down steps, certain he was in charge, with the hens trailing along behind. The turkeys grew tired of me following and dipped into some bushes so I returned to my explorations of Murray Middle School where I spent some quality time with the original main entrance. 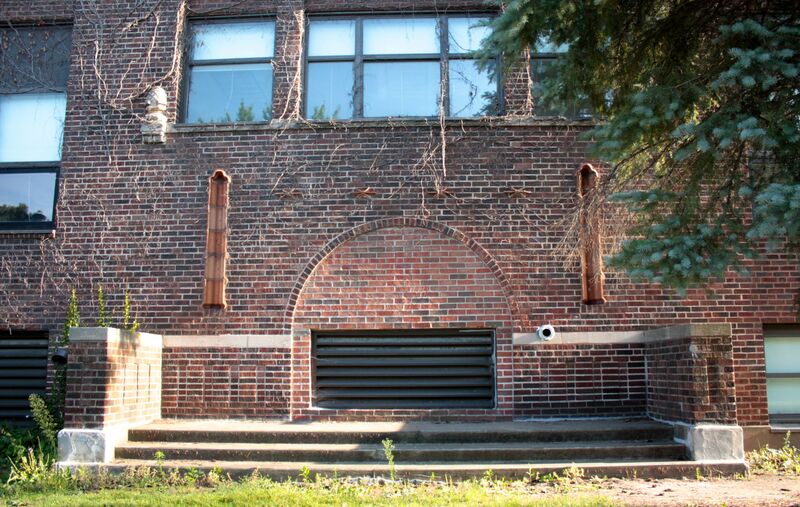 Although callously bricked up and used to vent some equipment, the original entrance to Murray remains recognizable as you can see in the picture below. Significantly smaller (and a high school) in 1930, Murray’s main entrance is in the middle of the picture, just to the left of the cement steps. Courtesy Minnesota Historical Society. I took my time riding around the entire school, exploring many alcoves along the way. The south wing of Murray includes the auditorium. 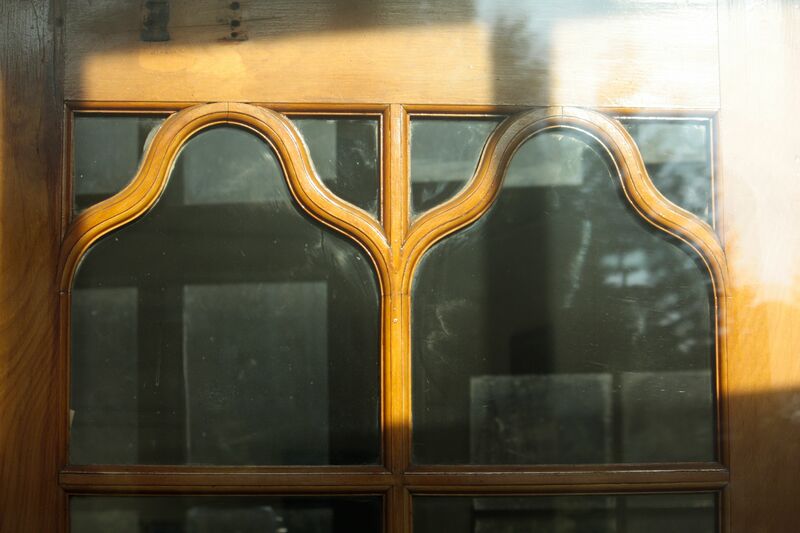 The woodwork of the outer auditorium doors retains its detail more than 75 years after construction. 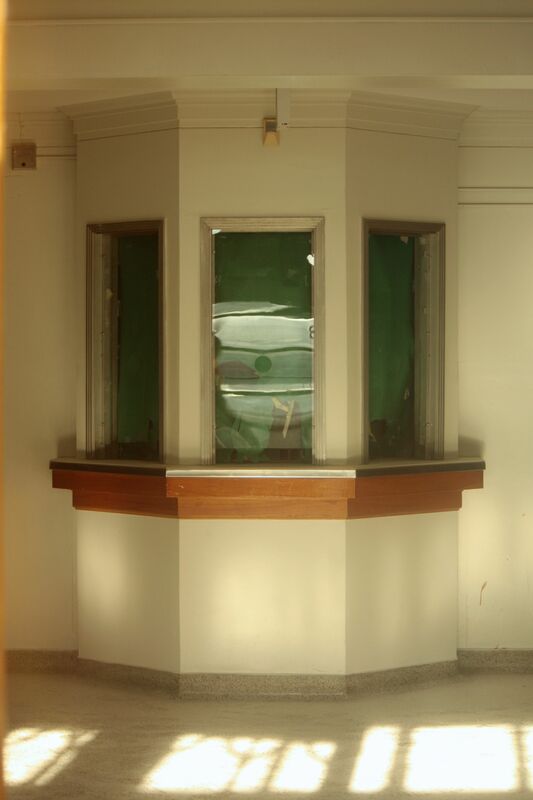 Gazing through the windows of the auditorium entrance, the box office seems to be nearly unchanged from when it was constructed. This photo is puzzling, I believe because it is mislabeled. The photo clearly states it is from 1928. If you compare this picture to the one below, it’s apparent both were taken in front of the auditorium entrance in the south wing. 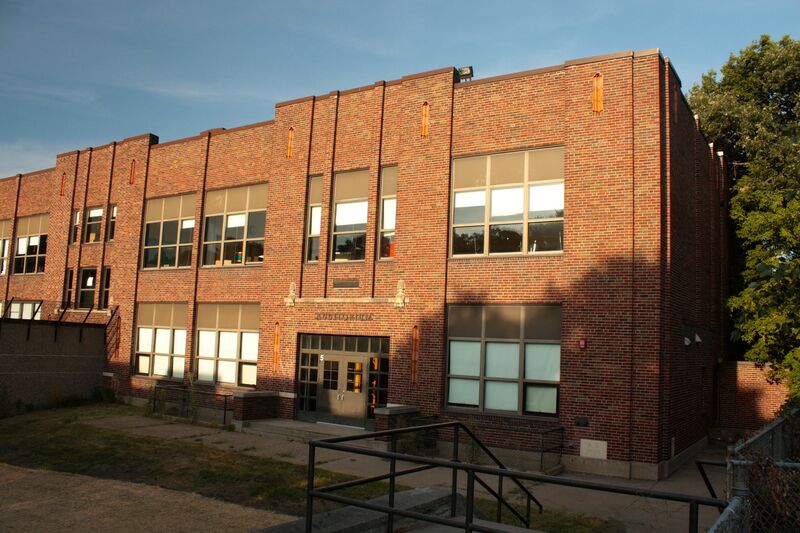 However, several sources, including the Saint Paul Schools’ documents, say this wing wasn’t added until 1930. So either the south wing was built by the time the class of ’28 had its picture taken or this photo is from the class of 1930 or later. 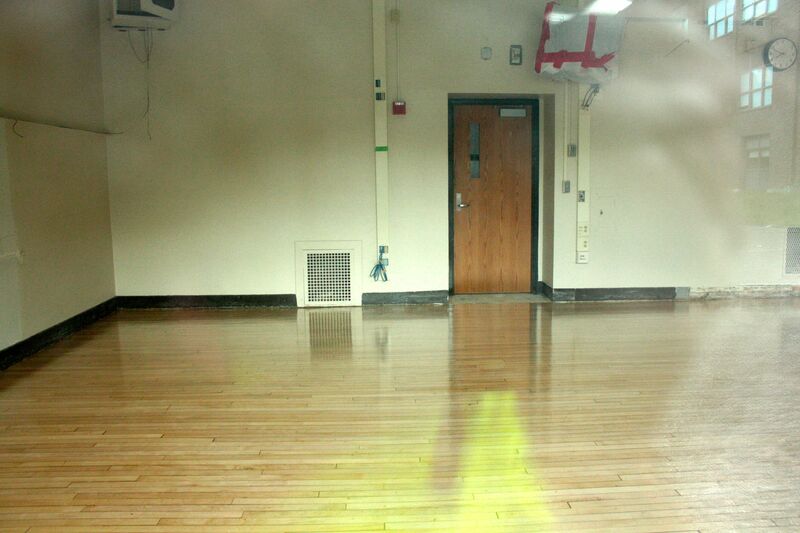 Photo courtesy Murray Middle School. 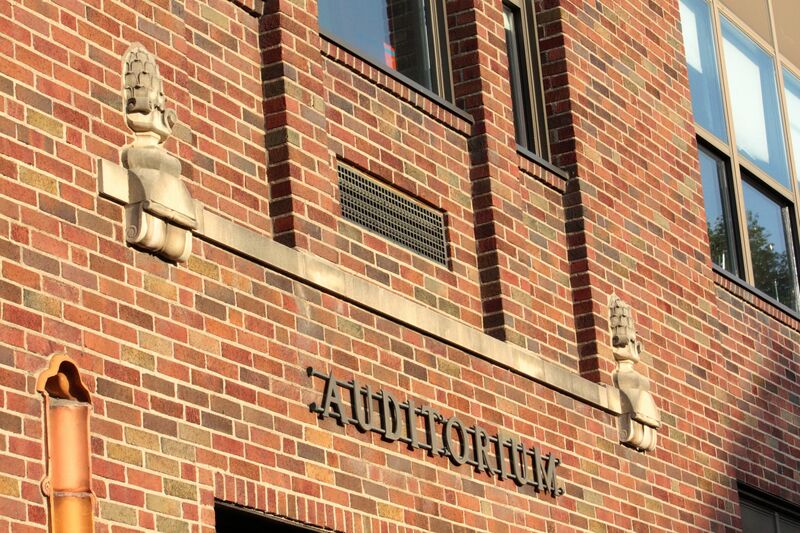 Today, while modified, there is no mistaking the exterior of the auditorium entrance from the previous picture. 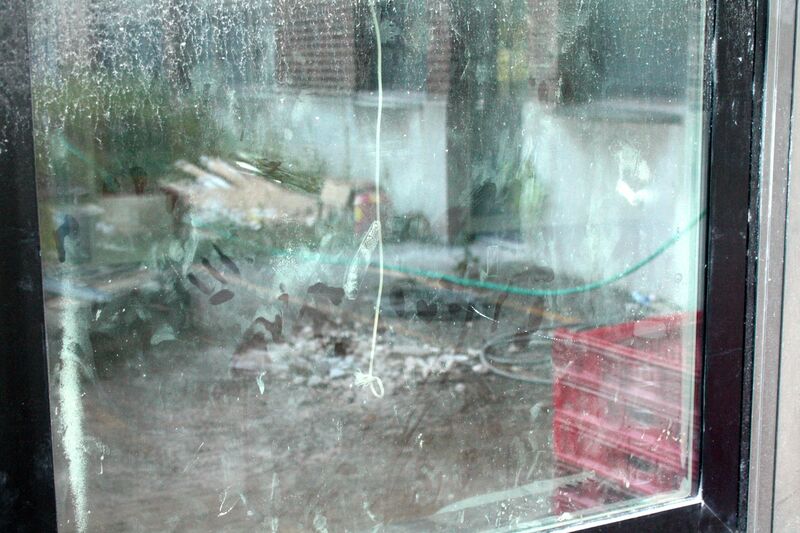 There was a major renovation going in part of the auditorium wing. With just three weeks until the first day of the school year, it appeared from the outside of Murray that a lot of construction remained. Renovations at Murray required the removal of the cafe awning. 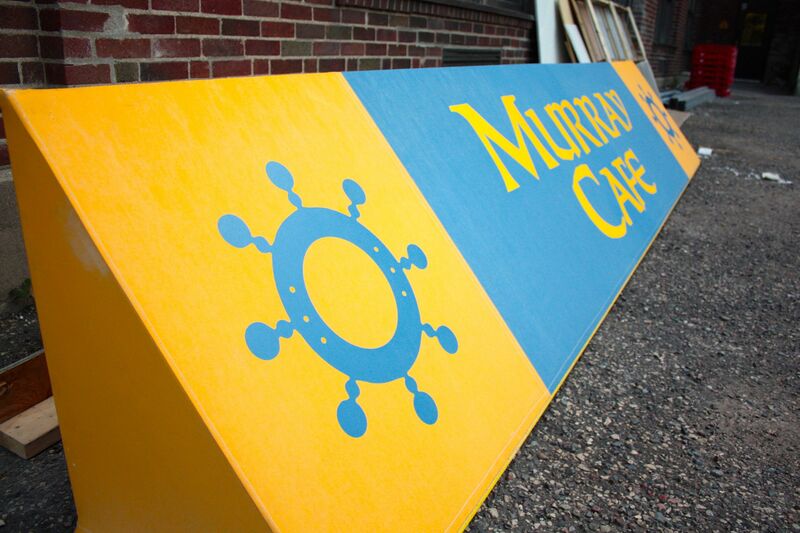 The ship’s wheel on the awning is a nod to when the building was Murray High School, which was known as the Pilots. 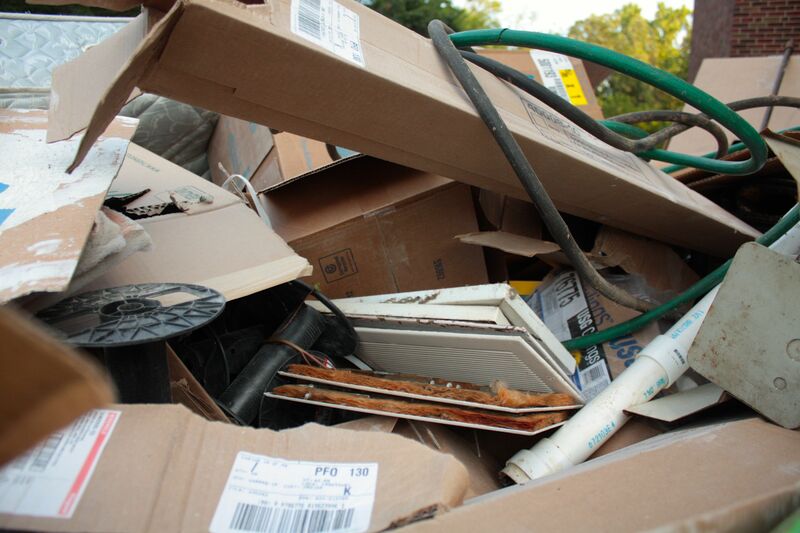 …and a dumpster full of debris. The houses on the north side of Doswell Avenue, as viewed from College Park. College Park seemed to pop up in the middle of the neighborhood. It’s almost exclusively single family homes as I rode south on Grantham to Doswell, and east for a block. In the next block homes line the north side of Doswell but across the street is where I saw the very pleasant College Park. 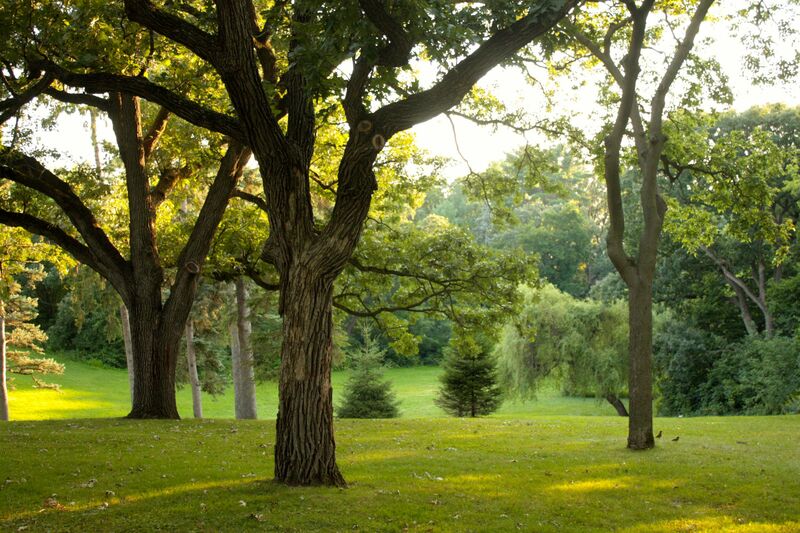 Trees of many varieties are one of College Park’s many draws. 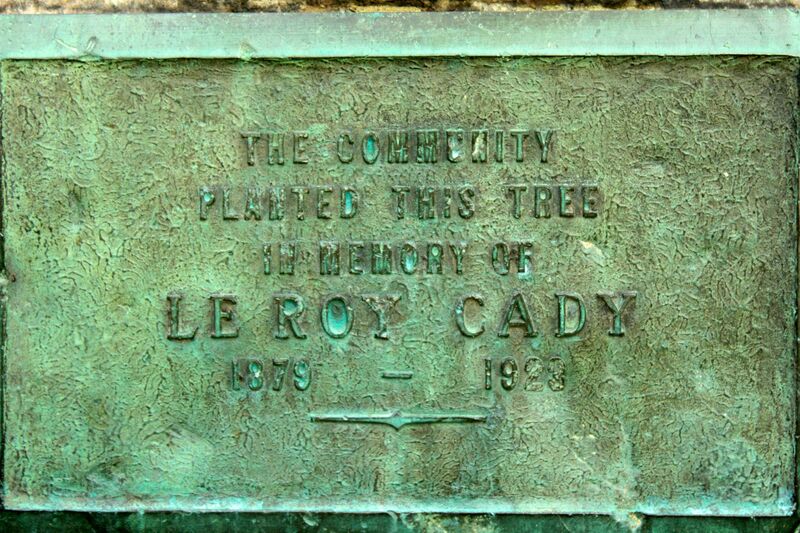 LeRoy Cady served as the second leader of the Department of Horticulture. Cady was involved early in several agricultural organizations such as the American Peony Society and the Minnesota State Florist Association, where he was president in 1918-1919. 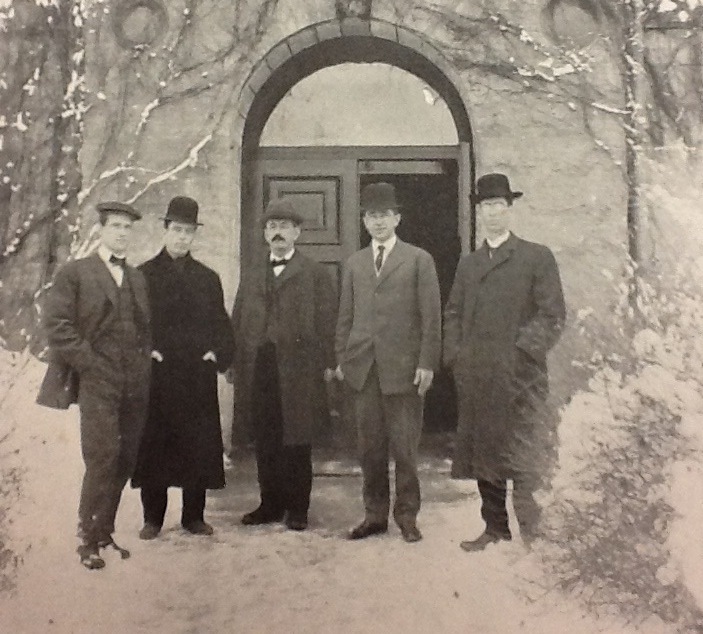 Samuel Green, with the mustache, and LeRoy Cady, far right, stand in front of the U of M Horticulture Building in 1910. Courtesy University of Minnesota Department of Horticultural Science. 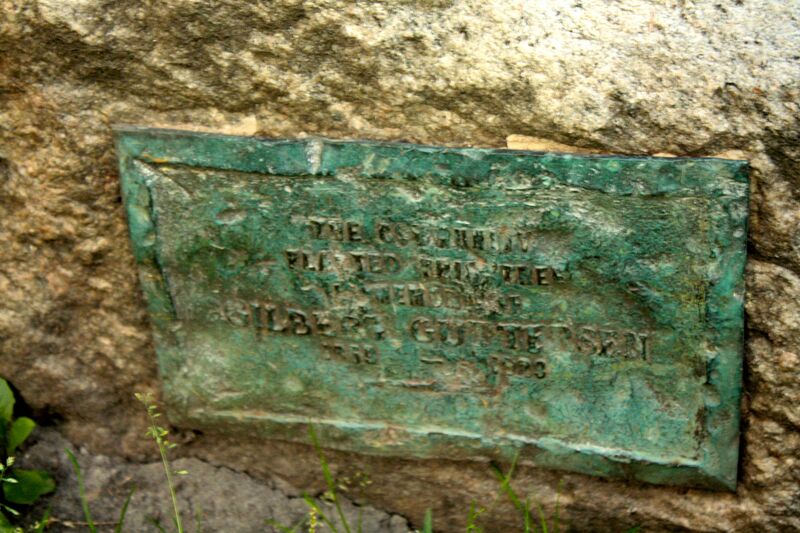 For some reason the Gilbert Gutterson plaque has not survived the 90 years-plus since its dedication as well as the two others. The open space at College Park as seen from the west end of the park, very close to the Gilbert Gutterson Memorial. You’ll have to take my word that the playground and tennis courts are in this picture, far in the background. A couple enjoying a picnic. Rising behind them, St. Matthew’s Episcopal Church, built in 1914. The playground bookends two tennis courts. Shadows from the trees create an unusual pattern on the grass. An odd object I almost literally stumbled upon was a well put in by the State Health Department. According to the “Well and Boring Record,” (it’s really called that!) 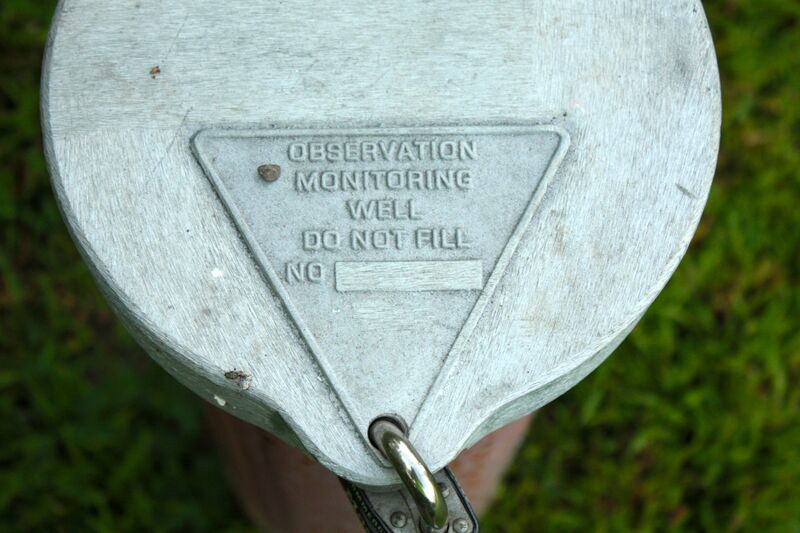 I uncovered online, the Health Department installed the well in 2011 to monitor the depth of groundwater in the park’s open space.